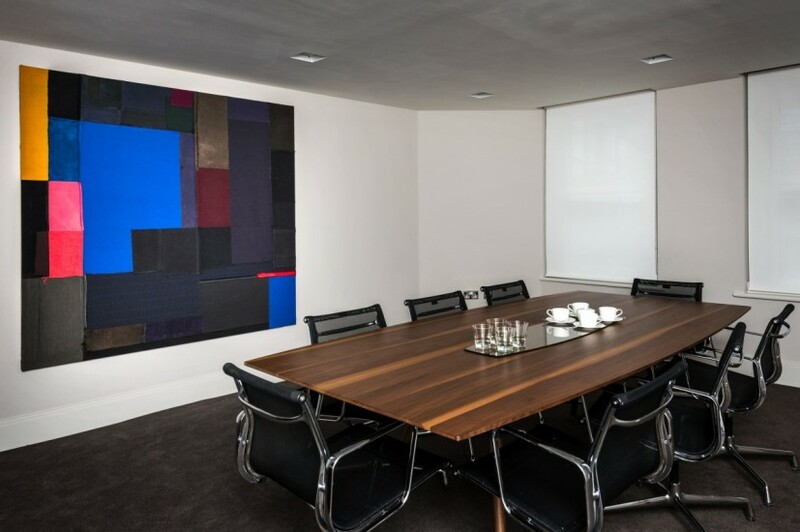 Works by Lothar Götz and Phillip Allen, Inflexion Offices, Mayfair, London. Photo: Joe Plommer. 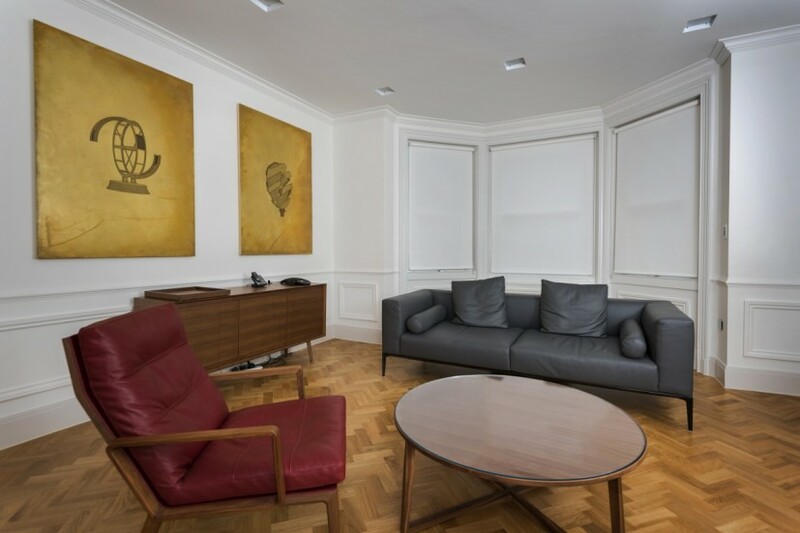 Works by Santo Tolone, Inflexion Offices, Mayfair, London. Photo: Joe Plommer. Sea the Stars by Alison Turnbull, Inflexion Offices, Mayfair, London. Photo: Joe Plommer. 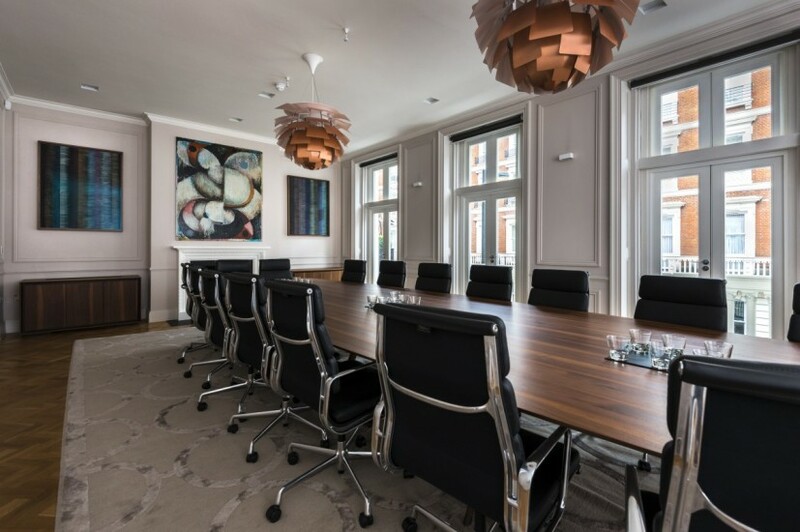 SSS by Alexis Marguerite Teplin, Inflexion Offices, Mayfair, London. Photo: Joe Plommer. 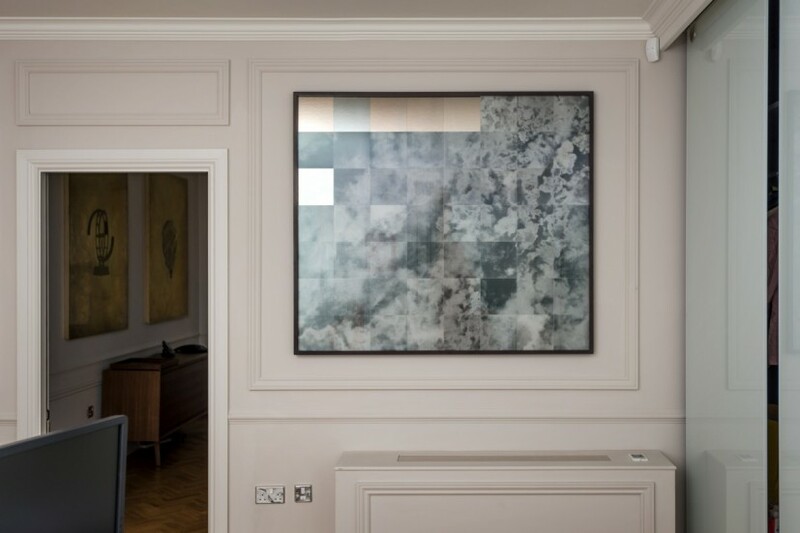 Samadhi by Michael Conrads, Inflexion Offices, Mayfair, London. Photo: Joe Plommer. Calendar, 1930 - 1985 by Lisa Oppenheim, Inflexion Offices, Mayfair, London. Photo: Joe Plommer. 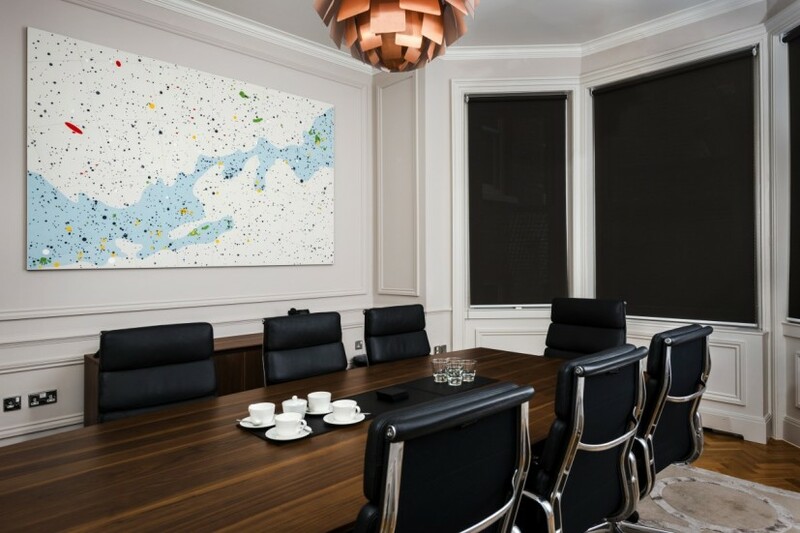 The Contemporary Art Society has managed and developed the contemporary art collection for Inflexion Private Equity’s Mayfair offices since 2013. The collection represents ‘a generation of artists now’, celebrating both emerging and internationally acclaimed artists. 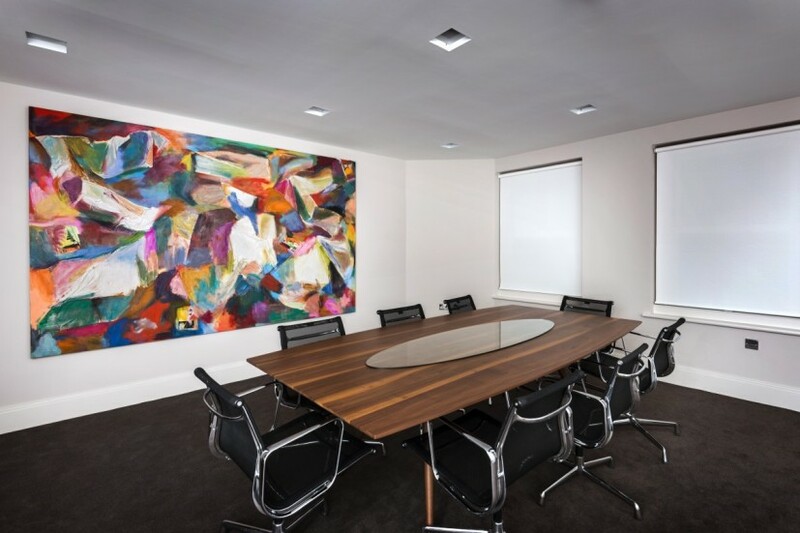 Specially commissioned artworks span all five of the company’s floors. Behind a Grade-II listed façade, the building houses works from a variety of media: painting, photography, sculpture and installation. The collection represents ‘a generation of artists now’, ranging from the established and critically endorsed to more emerging talent. Focussing on abstraction, strong form and elegance of materials as well as their execution, the collection represents the sophisticated dynamism that characterises Inflexion’s ethos. Highlights include the conceptually-based photographic work of Lisa Oppenheim, a tapestry from 1999 by ground-breaking Norwegian artist Sissel Blystad (a central figure in Scandinavian textile art with a career spanning for more than four decades), works by American painter Alexis Marguerite Teplin, Michael Conrads’ ornamental surfaces, Caroline Achaintre’s hand-tufted wall hanging, an installation by Danish sculptor Marie Lund, a series of works by Scottish artist Ruairiadh O’Connell, photographic objects by Lorna MacIntyre, a large-scale work by Norwegian artist Tyra Tingleff, a delicate drawing by German artist Jorinde Voigt and a work by Scottish artist Victoria Morton.